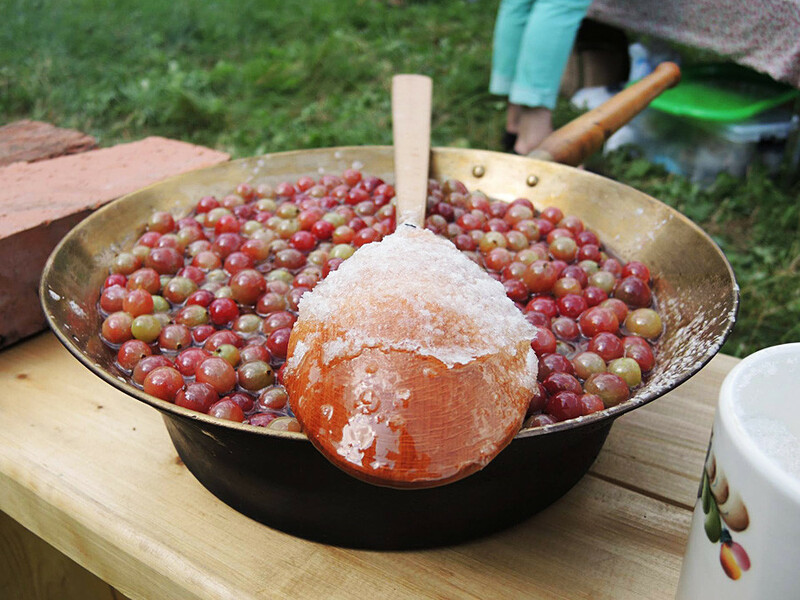 Want to sample cherry confiture that Chekhov made from his legendary orchard? Or Blok’s delicious dandelion jam? What about that gooseberry jam made by Pushkin’s nanny? Read on and impress your guests. Imagine a Russian writer sitting on the veranda at his country estate, drinking tea, snacking on jam and waiting for his muse. Sometimes, this is how they spent the entire summer. If you long for inspirational winter evenings just like Pushkin or Blok, then try your hand at these literary jams and arrange a cozy tea party. 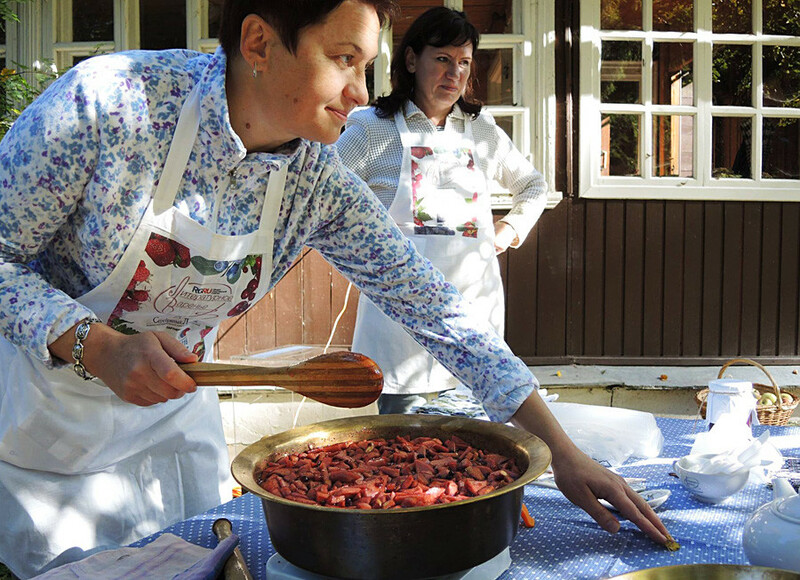 Svetlana and Oleg Kolesnikov have gathered a dozen original recipes by famous Russian writers as part of their project, “Literary jams” (Literaturnoye varenye). Here are five of the most interesting jams on their list. While not once mentioned in her ward's poetry, Arina Rodionovna always managed to do dozens of household chores and still had time for cooking. This recipe will take time, but the result won't leave you indifferent! 1. Take unripe green gooseberries, clean and remove the seeds. Put the berries into a glazed pot, and cover each row with cherry leaves and a bit of sorrel and spinach. 2. Fill the pot with vodka, coat the pot cover with dough; cover and place in oven on high heat for several hours. 3. The next day put berries into ice water, and after one hour mix a little and let boil three times in row. After, put berries again into ice water and mix every 15 minutes for about an hour. 4. Put berries into a sieve and lay on a linen tablecloth [the result might be slightly different if you use another type of cloth]. After the gooseberries dry, weigh them. You will need 2 pound of sugar and one glass of water for every pound of berries. 5. Cook the sirup using 3/4 of a cup of sugar, boil and remove the froth. Put the berries into the sirup and pour the rest of the sugar when it starts boiling. Let boil three times, and then put on low heat. Taste from time to time. This sweet confiture was born in the Karabikha Museum Estate in the Yaroslavl Region (250 km north of Moscow). 1. Take 1 lb. of strawberries, remove green leaves, but leave calyxes. Sprinkle a little alcohol or white rum on berries, and add 1 tbsp of sugar. Leave for an hour. 2. Prepare the sirup: 1 lb. of berries, 1 glass of water, and 2 lbs. of sugar. Boil the sugar with water and add berries. Let boil three times, and remove each time from the cooker, removing the froth, and shake the pan a little. 3. 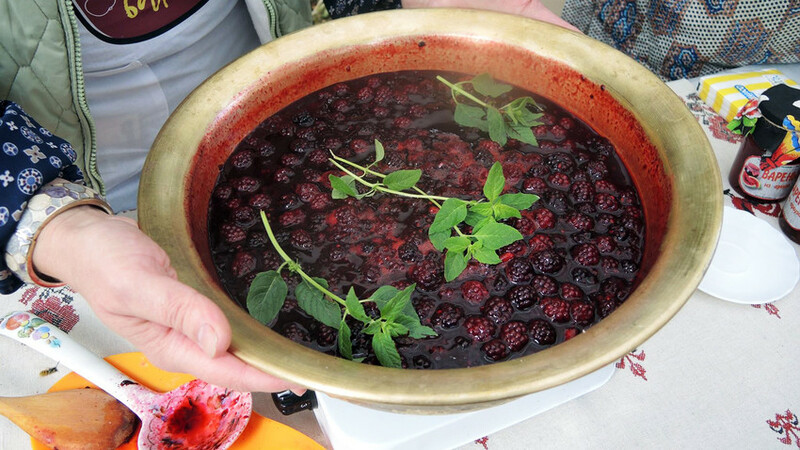 Continue to cook on low heat until berries loose their sourness, and until the sirup is covered by a thin membrane. One of Russia’s most talented depicters of nature lived in Dunino, a village on a picturesque bank of the Moskva River close to the capital. His cozy wooden house on the hill was (and still is) surrounded by fur, birch and apples trees. 1. 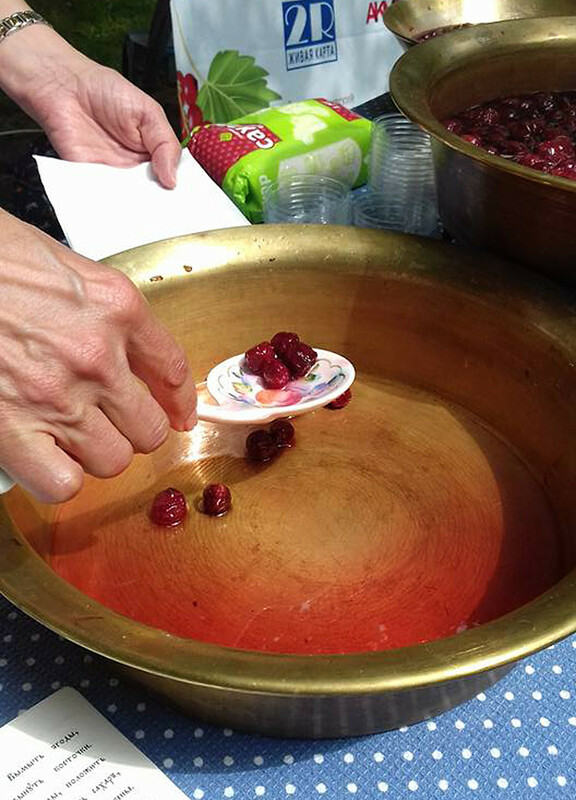 Clean cranberries and rinse with cold water. Dry on a towel. 2. Prepare the sirup with 1.5 kg of sugar and 2 glasses of water; then put berries into sirup. 3. Cook about 20-30 minutes. Remove apple seeds and peels, cut into four or eight parts, add apples to berries and let boil. 4. Make sure the apples are not tenderized. Anton Chekhov had an apple jam recipe, but we decided to take a look at the most iconic ones – jam from cherries grown in his legendary orchard in the Melikhovo estate in the Moscow Region. Remove seeds without damaging the berries. Clean on a sieve with cold water and ice. Prepare the jam; for each 1 lb. of berries add 1.5 to 2 lbs. of sugar, as well as 1 glass of water for each pound of sugar. 1. Boil the sirup, add berries, simmer and remove the mass into a stone bowl. The next day carefully separate the sirup and again place on the cooker. When it boils, add berries and simmer until ready. Put the jam into a stone bowl again, and pour into jars when it cools. 2. Put fresh berries without seeds in a stone bowl, and boil the sirup. Cool and pour on the berries. The next day carefully separate the sirup, let boil, add berries and simmer until ready. 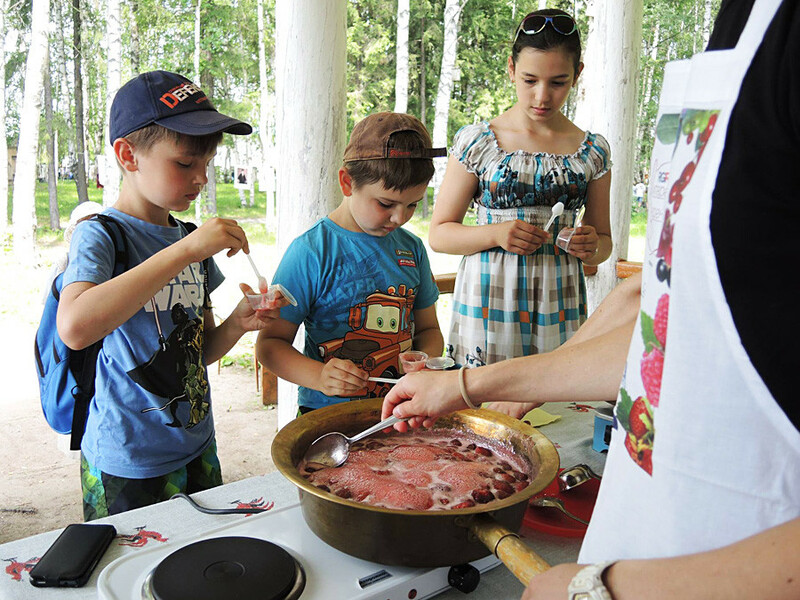 The Shakhmatovo Estate is a gastronomic paradise. The poet lived there each year from May to October, tasting his grandmother’s pirozhki, borsch and jam made from local gooseberries, apples, plums… and dandelion! Everything is still served there for tourists. 1. 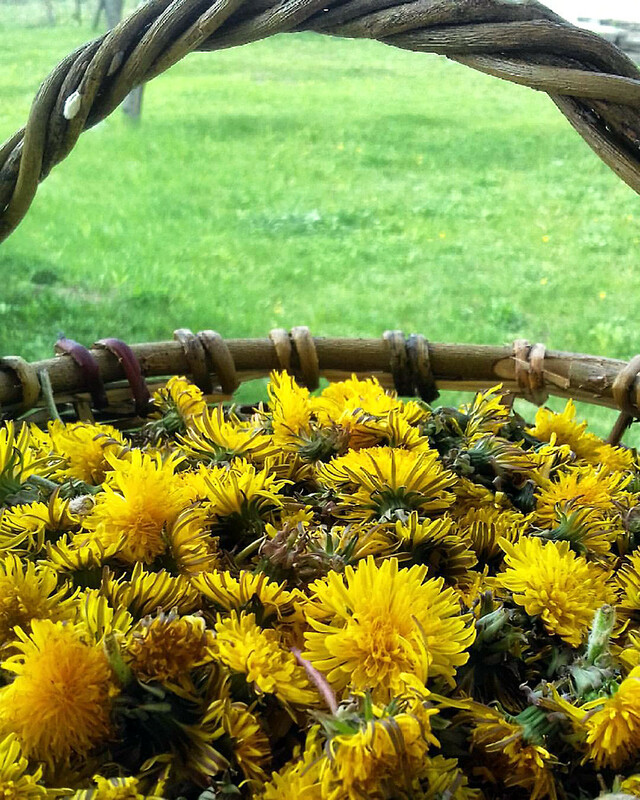 Take 400g of dandelion flowers (remove stems, leaves), put into a pan and boil with 400 ml water. 2. If you want to preserve the plant’s healthy features, let the flower broth sit for a day. 3. Remove the flowers, drain and wring the remainder into the broth; add 5-6 glasses of sugar and boil for about 10 minutes on low heat, constantly mixing with a wooden spoon. 4. You can add 7-10 cherry leaves and lemon juice into the syrup you want.